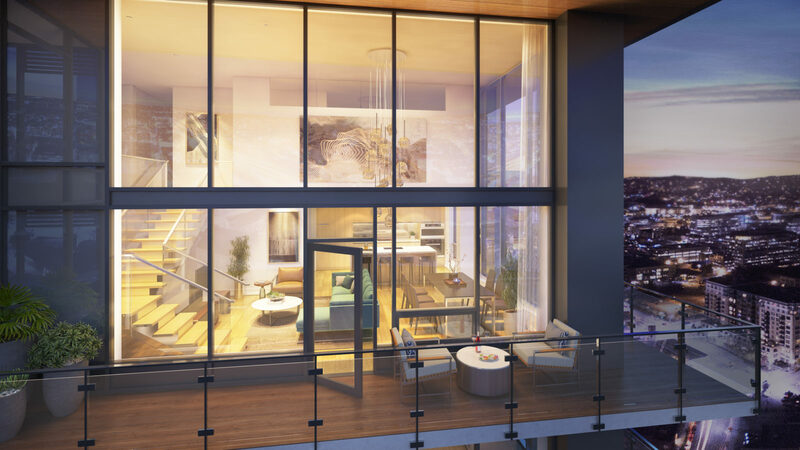 NEXUS takes penthouse living to the next level with expansive open floor plans, soaring ceilings, walls of glass and voluminous rooms perched high above Seattle. This exclusive collection of residences incorporates all of the cutting-edge technology, and iconic architecture that defines NEXUS and breathtaking views that range from Puget Sound to Lake Union, Downtown Seattle, and the Olympic and Cascade Mountains beyond. Unparalleled quality in interior design, construction and craftsmanship will be the hallmark of these singular residences, ensuring a lifetime of connected, effortless enjoyment that is matched only by the dynamic NEXUS community as a whole. The NEXUS penthouses function as stunning sculptural gallery spaces – dedicated to a life well lived. NEXUS penthouses live like sumptuous gallery spaces that are dedicated to a life well lived. The overall aesthetic is one of timeless elegance and restrained minimalism that can easily play a supporting role to a variety of decorating styles and collections. 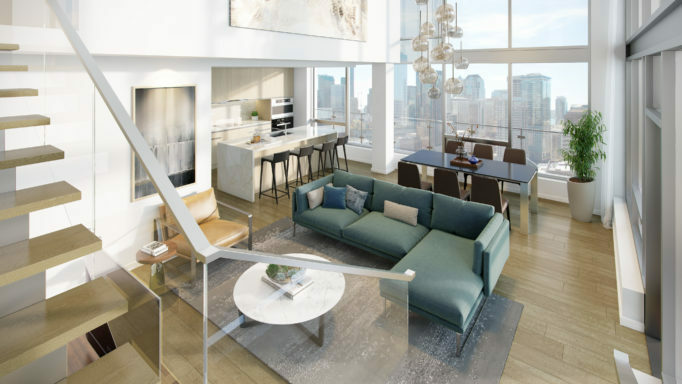 Whether a spacious one-story unit or a dramatic two-story Sky Loft, a NEXUS penthouse is flooded with natural light and iconic views framed by floor-to-ceiling walls of glass and enhanced by tall ceilings and open sightlines. The building’s sheer core construction minimizes in-unit and corner columns for an uninterrupted sense of space. Wide plank hardwood floors couple with carefully conceived color palettes to produce interiors that are visually stunning and luxuriously enveloping. 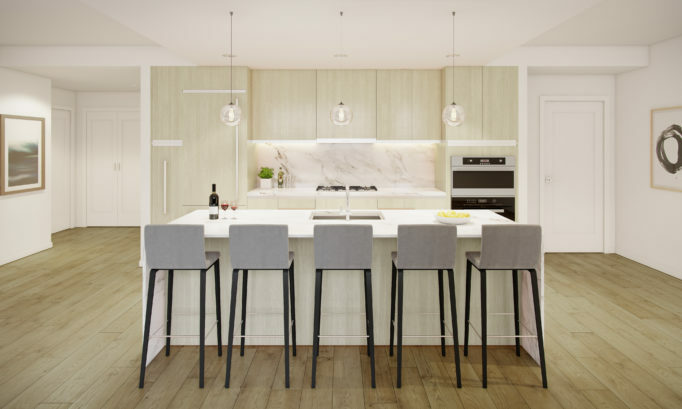 Understanding that kitchens have become the modern hub of the home, the NEXUS design team created generously appointed cooking and entertaining spaces that are equal parts high performance and high style. Custom, European cabinets house a fully integrated suite of Miele appliances, with gas cooking, wine refrigeration and high capacity ventilation, while large islands with marble waterfall counters provide casual seating for intimate gatherings. 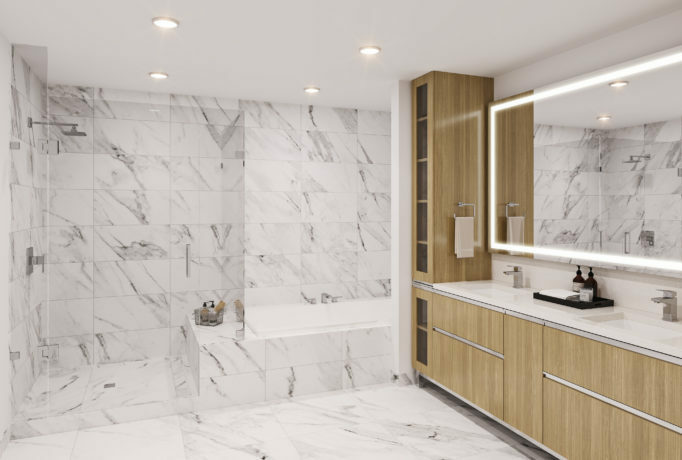 Spa-like baths are similarly elegant in their execution, offering floor-to-ceiling marble tile with floating vanities, Grohe fixtures, integrated lighting and storage. Large glass showers, deep soaking tubs and private water closets create a relaxed sense of volume. Finally, Burrard have led technology development and partnerships to offer a groundbreaking Resident App. 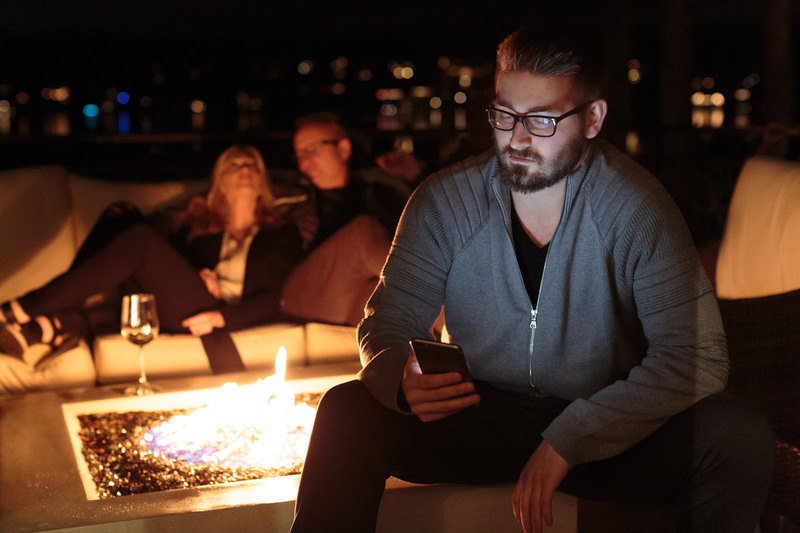 This solution brings high-rise lifestyle into the next generation in the form of an integrated suite of home automation, communications, security and building-wide convenience features. Residents will be able to do everything from issue visitor access, control in-unit smart devices, self-pick-up packages, monitor and book amenity spaces and communicate with building staff. NEXUS is the ultimate future-proof incarnation of the long-awaited smart home. The penthouses at NEXUS are the ultimate interpretation of modern urban living. They offer unmatched style and substance with amenities and technology that will seamlessly evolve along with the unique community that they support. NEXUS is certain to become the next great icon on Seattle’s skyline, and living in one of its penthouse units is the definition of luxury for the 21st century.